First things first, not everyone is a division one player. I don’t think most realize how hard it is to come out of junior college. In our years covering prospects in the juco world, it has been less than 10% that have moved on to that D1 level. What some need to understand is that numbers don’t equivalate towards a division one scholarship. Just because you put up big numbers it does not mean you are better than another player who averages less and so on. It is called wants, needs, and in this game, it is also called role-playing. This next prospect offers both production and role-playing at the two guard position. If you're looking for a 6-2 wing who can get buckets with an above the rim game to drool for ask about Toronto, Ontario native Michael Nuga. A member of Eastern Florida State who finished their regular season at 27-3, not bad for the NCJAA national tourney finalists last season. This 1997 born Canadian with Nigerian blood has made significant strides you want to see from your freshman to sophomore season. Nuga last season only featured in 19 games averaging just under fifteen minutes per contest. This season 30 games played and is averaging almost 15 points in only 23 minutes. Lots to like with this 6-2 guard full of bounce who played one of the toughest schedules across JUCO (4 schools in the conference with 19 wins). Nuga hails from the Scarborough, ON neighborhood and no doubt will become a role model for Canadian ballers out of Scarborough as he progresses to the D1 level and into the professional ranks. Canadian Ballers caught up with Nuga ahead of his conference tournament. 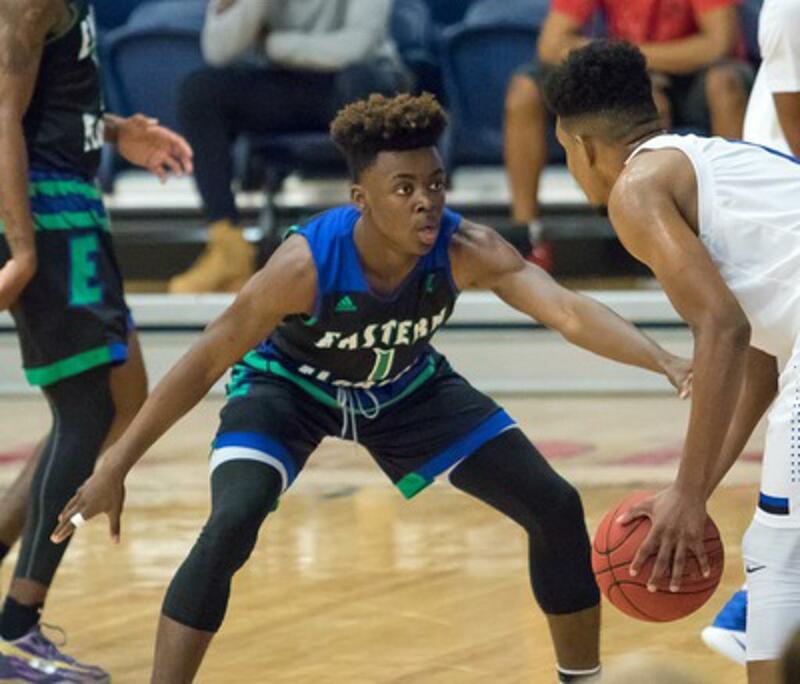 CB: How has the Eastern Florida State experience been so far? Your thoughts on last season and your chances at a national title this season? 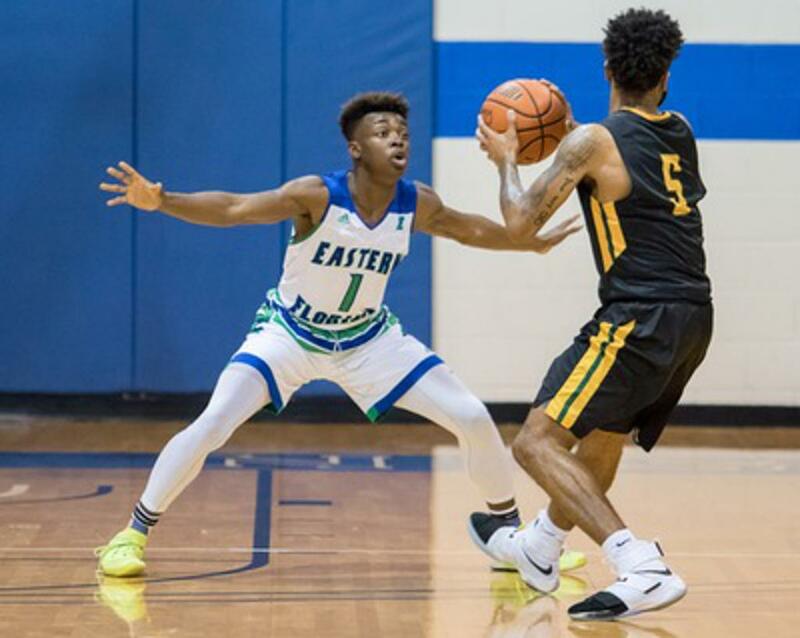 MN: The Eastern Florida experience has been amazing I wouldn’t be anywhere without the faith the program had in me to first even offer me a scholarship, this is really a family and on and off the court, we progress as individuals and as a unit. The hard work put into the program is incredible. Ahmed is my brother for life it’s been so fun being such a deadly backcourt and representing the same city he really works hard and it’s been fun to watch him grow as a player and person alongside me. We knew each other before eastern Florida as our schools have played each other multiple times. Last year was amazing we shocked a lot of people with how far we went it was an amazing experience that we were blessed to be a part of but this year we are taking the title we added new freshman that can really get the job done and we know we have the pieces and the work ethic to win it all. CB: What type of guard would you classify yourself as? Any players you try to model your game after playing pro or collegiately? MN: I would say I’m a combo guard as I can fill the position of a point guard and can also be a big threat as a wing player, I try to copy my game after Russell Westbrook and Victor Oladipo as they are explosive players just like myself. CB: When did you start playing basketball? Anyone in your family plays basketball? MN: No one in my family played basketball I was the first, started playing when I was about 5 with the Scarborough blues association and fell in love ever since. CB: You had a serious stretch of dominance during a five-game stretch where you averaged 25 points per game? What got into you? MN: Just playing my game this is what I do and with the position my coach Jeremy Shulman put me in it allows my game to really show. CB: Any coaches working the hardest for your signature at the moment? Or any visits lined up for you? How does it feel to be in this spot now with multiple offers on the table? MN: I haven’t scheduled any visits as I plan on taking them after our season. The way things are looking it could change with all the schools hitting me up and coaches are really trying to push me to sign to their programs and it’s honestly just an honour to be in this position because not a lot of people believe this kid from Scarborough would ever leave the city but with God and hard work anyone can do it. CB: How does your recruitment look heading into the postseason? Any criteria for the college of your choice? MN: I got a couple offers from Utah State, Kent State, Portland State, Sam Houston state, Jacksonville U, and with many other schools are in contact. First thing I look for is what school is gonna play me the most where I can be an impact player off the jump, the culture of the program, coaching staff, their history, and how many players they send pro and the academics are also important when deciding where to go.